(CNN) One body was recovered Tuesday after floodwaters in Texas damaged homes and forced evacuations, authorities said. 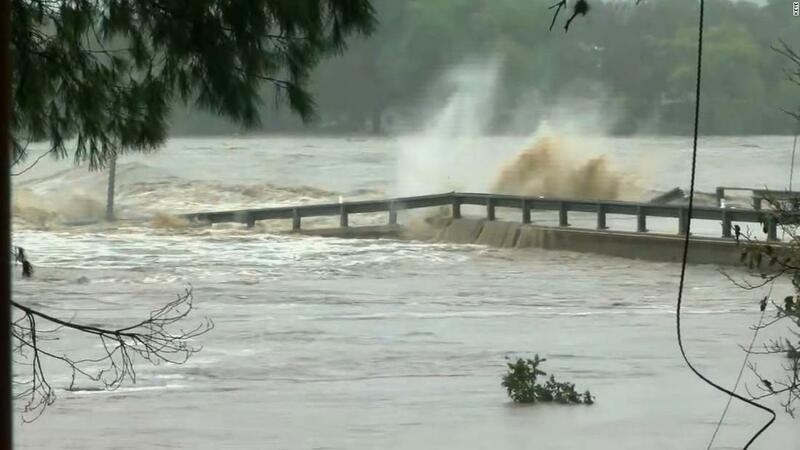 Heavy rainfall caused one river in the central Texas region to rise to a near-record level in about a day, leading to a bridge collapse, flooded homes and evacuations. The Llano River rose to nearly 40 feet Tuesday in the city of Llano — about 35 feet higher than it was just 24 hours earlier — after 8 to 10 inches of rain fell in the area over the past two days, the National Weather Service said. “Texas is taking immediate action to respond to the threat of recent severe weather and flooding across the state,” the governor said in a statement. The river is expected to recede through Tuesday afternoon, but should stay in the major flood stage — over 23 feet — though Wednesday morning.